Contest: WIN: the Thanksgiving Mystery Box! WIN: the Thanksgiving Mystery Box! 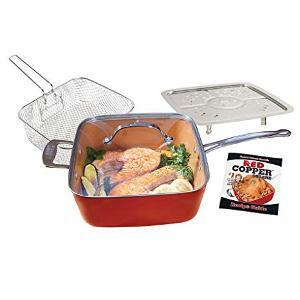 Prize: Grand Prize - 1 winner will receive (1) Red Copper 5 Piece Set (approximate retail value or "ARV": $59.99). What you must do to enter: Submit your email address and like our Facebook page. Statistics: This contest was opened by 40 and entered by 3 ContestChest.com members. 8% of those who opened the contest, entered it.